I'd go to say this is Sven's best (so far) in the Season series. A very diverse release, very forward looking and very consistent. A very mature step from the harder techno of the end of 90's - beginning of 2000's. A few years down the road and it only gets better with age. From the open strains of the excellent “Emotional Content” by Funk D’Void, through the Tribal flavor of “The Push” by Paul Jackson, blazing electro of “Freak” by LFO and trippy undertones of “Diapason” by Marco Carola; Germany Techno master Sven Vath transforms you from wherever you may be, to Monday night gathering on the dancefloor at Amnesia in Ibiza. 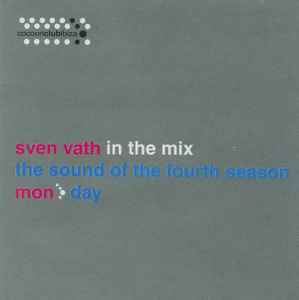 Crafted and molded by the theme of the summer of 2003, “In Your Face”; this 2 disc set shows the breadth and depth of musical diversity that is Sven Vath. Minimal and clicky, deep and breaky, hard and unyielding, this set is a wildly diverse trip through the mind of one of dance music’s most consistently credible characters. Twenty years into his illustrious career, Sven is still rocking dance floors, producing choice tracks and putting his unique stamp on the world of dance music. Compelling in all the best ways.